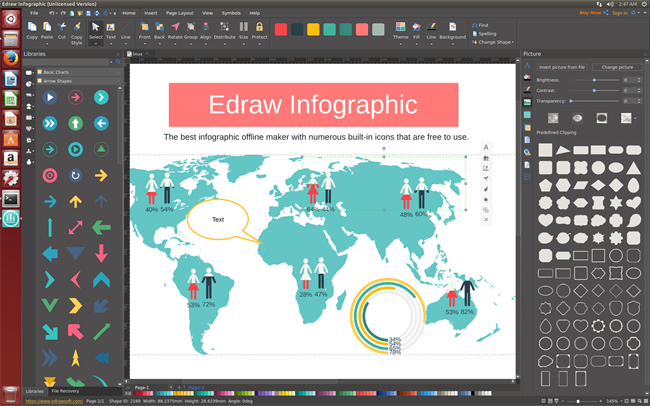 Infographic software for Linux is a powerful and time-saving program which provides thousands of infographic elements and various templates for users to drag-and-drop, edit, draw, print and share in seconds. Compatible with Linux OS X: Debian, Ubuntu, Fedora, CentOS, OpenSUSE, Mint, Knoppix, RedHat, Gentoo and More. It Enables You to Work on Linux While Other Software Do Not Support. Are you always troubled when you find an infographic on internet and try to modify the chart data but find they are irreversible? Don’t worry! Try this Linux infographic software where charts value can be modified easily. Just control the yellow button shows in the pictures and change the data. There are over 10000 infographic elements in the built-in libraries and all of them are classified into different groups such as basic shapes, text blocks, callouts, technology, transportation, marketing and so on. All the elements can be customzied to fit different needs, such as changing the colors, dimensions, directions or grouping/ungrouping, etc. And we are keeping creating more elements. 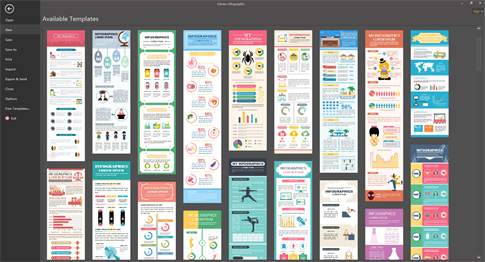 A large quantity of well-designed infographic templates are offered for free. And all of them are editable. Users can create their own infographics on the basis of built-in templates which simplifies the drawing process a lot. This linux infographic software supports inserting local pictures and crop them to any shapes as users like. 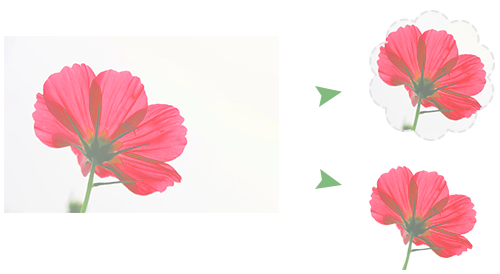 Users can crop the pictures with predefined clippings, trim with certain shapes or carve the pictures to remove the parts you do not want. What if when you need certain element, but you can not find in the libraries? Never mind! 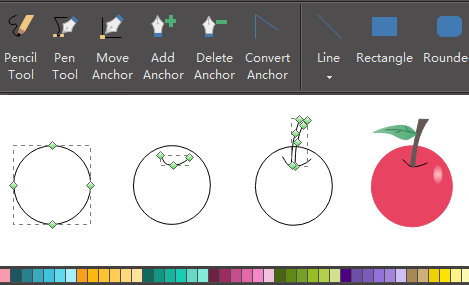 This linux infograhic software provides a set of drawing tools for users to create their own elements. And all the drawing tools are free while some other software may charge those beautiful elements. Download Linux Infographics Software for Free! Download this awesome infographic maker now! We offer a free trial for 30 days. Any questions and suggestions of this program can be sent to support@edrawsoft.com. Your good advices will be appreciated.